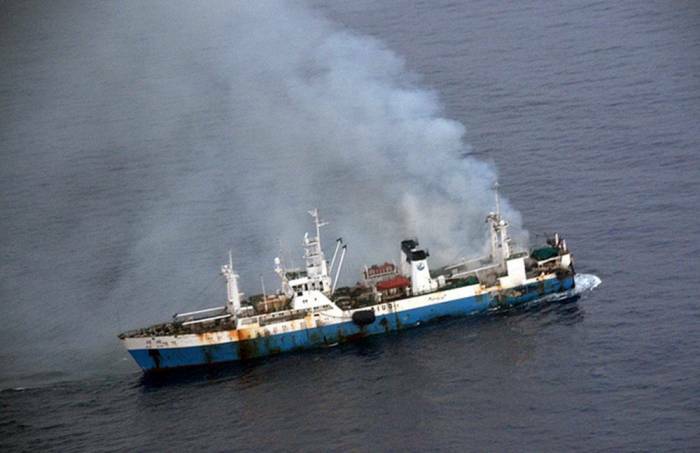 The 105 meter long, 1810 dwt fishing vessel Kai Xin caught fire off the coast of Antarctica. The crew sent out distress call requesting assistance. The fishing vessel Juvel was nearby and responded to the scene. The Juvel was able to safely rescue 90 crewmen from the Kai Xin. The Chilean Navy has dispatched a tug to the scene to take the Kai Xin under tow. The tug has anti-pollution equipment on board in case the Kai Xin releases any fuel into the water.